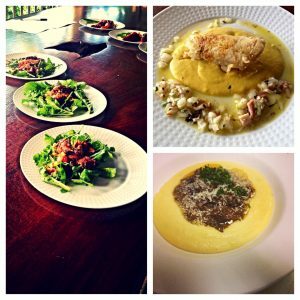 After 19 years of cooking and creating culinary works of art, Chef Michael Matthews of the Galleon Restaurant knows a thing or two (or three) about making people appreciate & experience local Virgin Island cuisine in ways they never thought possible. 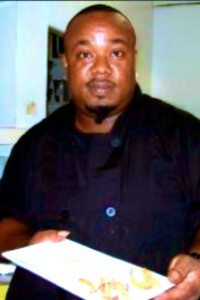 Born and raised in St. Croix, Chef Michael has been cooking for as long as he could remember, saying, “My dad was a chef so it was second nature for me to go into the kitchen and prepare dinner for the family.” After 18 months at a culinary institute in Boston, Massachusetts, he came back home to work in a few restaurants before landing at the Galleon Restaurant 2 years ago. As a result of his unique talents in the kitchen, Chef Michael has been chosen to join the USVI National Culinary Team set to compete in the Taste of the Caribbean event hosted by the Caribbean Hotel & Tourism Association this weekend in Miami. He won his spot on the team after competing against 2 other winning chefs from this year’s Taste of St. Croix event. His appetizer of local arugula, roasted corn salsa and spicy rubbed lamb topped with orange vinaigrette was paired with his entrée of pan seared pot fish fillet atop sweet potato plantain puree and octopus lychee vinaigrette. He says, “Giving our local cuisine a fine dining flair is what I do at the Galleon by putting a twist on local dishes.” His notable dish from Taste of St. Croix was a braised oxtail ragout, and Gorgonzola polenta topped with white chocolate shavings. He said, “VI people love oxtail and this was my way of giving it a fine dining look & feel.” He also mentioned how grateful he was of Lesley Harrison, proprietor of the Galleon Restaurant, for allowing him the freedom to try new recipes to offer their guests. Chef Michael is excited to participate in the Taste of the Caribbean competition and believes that having a USVI team representing there will allow people to see the Virgin Islands Cuisine. To see him and the rest of USVI Culinary Team in action, be sure to come out to Taste of the Caribbean’s Taste of the Islands competition kicking off on Sunday June 30th at the Hyatt Regency Miami at 5pm. For more information and to buy tickets, visit the event website at http://www.chtatasteofthecaribbean.com. Leave your comments below with well wishes for Michael & the team and be sure to share his story on your social media pages!